Chic and sparkling the silver Avalon bracelet will dance in the light all day long. A combination of lustrous pearls and diamonds is a favourite of mine. Looking for a silver wedding bracelet, that just feels just so right? 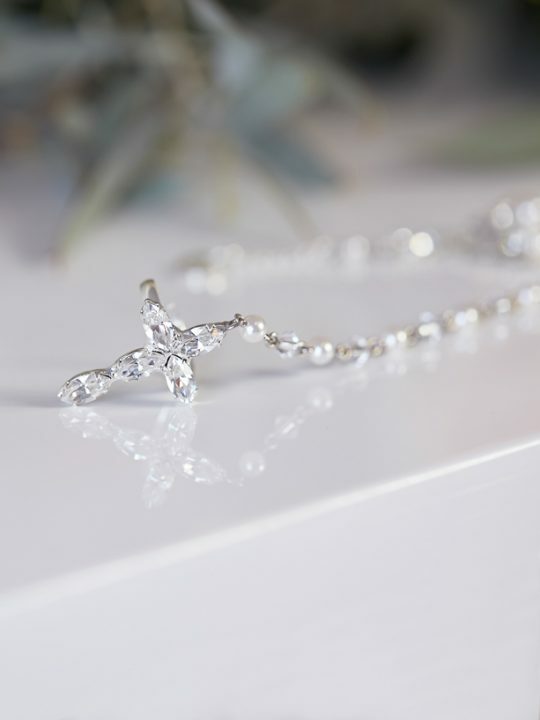 The Eden wedding bracelet a part of our popular Eden collection always aims to please. 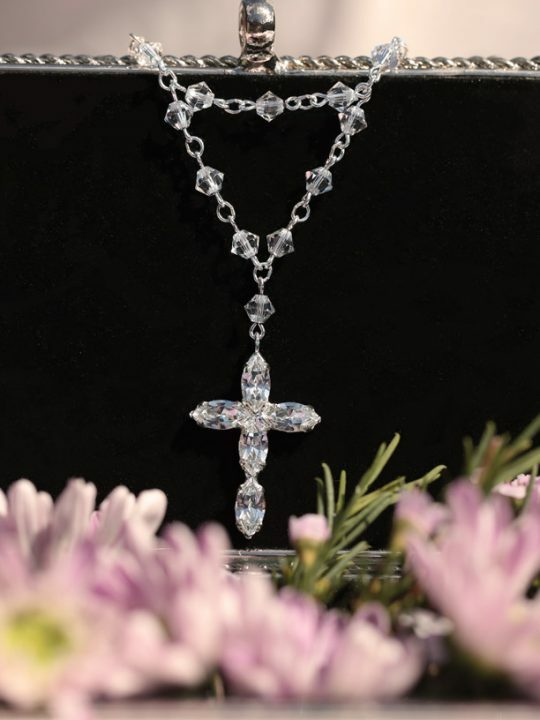 With a combination of Swarovski pearls and marquise diamonties embedded tastefully in to a classy beaded combination. Multiple length chain adjustment 21cm long, can be custom made longer. 1.2 cm wide. Other designer wedding jewellery in this collection. The Hello Lovers Australia jewellery designer has produced the Eden collection of mix and match jewellery. So you can put together the bridal look you want. May be just the Eden necklace and team with the pretty Eden silver earrings. 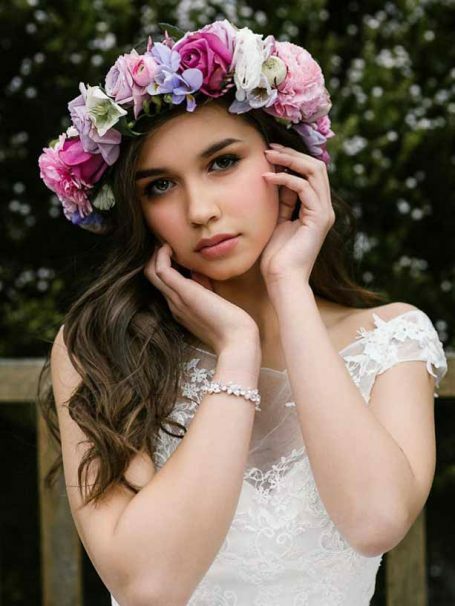 Or for something different go for the Eden Hair comb with a veil. All our bridal jewellery comes beautifully presented in a Hello Lovers silk pink box. And posted to your door by express post. 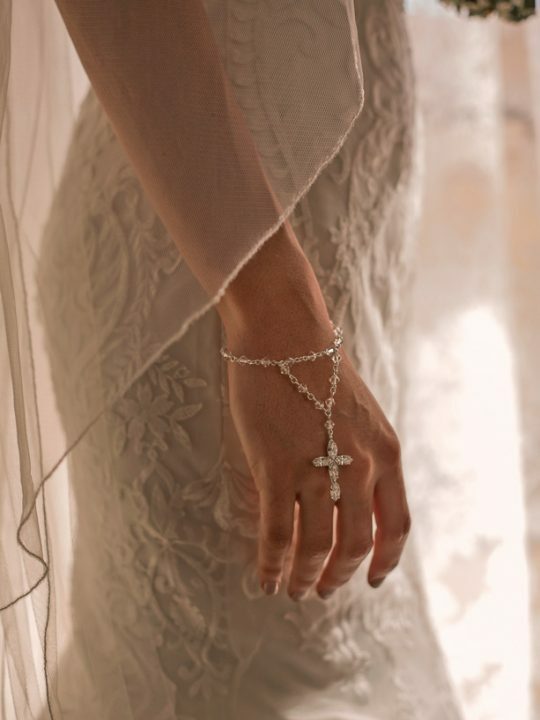 Faith bridal rosary bracelet with double chain.